One of Disney’s biggest releases in 2019 outside of Avengers: Endgame and Star Wars is the live-action remake of The Lion King. While many are saying it is a classic that should not be touched, others are curious to see what this new adaptation of the animated film will bring audiences. So far, the trailer is looking very similar to the original film. 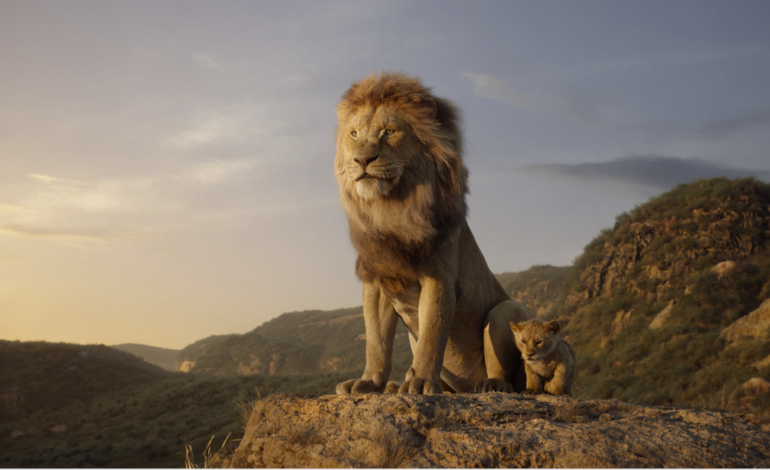 The trailer starts out with Simba (Donald Glover) and Nala (played by Beyonce) exploring the elephant graveyard with dialogue spoken by Scar in the background. There is even a glimpse of Scar. While he does not sport a black mane like in the original film, he still has a very sinister look with his signature scar over his eye. This trailer also showcases the hyenas and Scar during the aftermath of the stampede moment. The trailer cuts to more animals and we hear Mufasa (James Earl Jones) discussing the rules of being king to Simba. It ends up showcasing a montage of various moments from the iconic film including Simba encountering Zazu, Timon (Billy Eichner), and Pumbaa (Seth Rogen) walking across the log as time passes by, and Simba interacting with Nala as adult lions. All of this is set through a fresh new remix of the original score that appears in Hans Zimmer’s iconic film. The trailer ends with Timon and Pumbaa singing The Lion Sleeps Tonight which appeared in the original movie. While the trailer does showcase some incredible CGI with the animals looking as real as they could be, there are those still critical of the new Lion King remake. The main criticism being that as impressive as the CGI is, it sort of lacks the expression and colors compared to the original, known for its visuals in spite of being a 2D animated film. Regardless, this new trailer gives optimistic audiences more of a glimpse of what this retelling of Simba has to offer. The Lion King is set to release on July 19, 2019.